In early November I received an email from one of the coordinators of the March for Life Education and Defense Fund. She explained to me that this year's theme was called Every Life is a Gift. With having a child with Down syndrome, and sharing the message that every baby should be celebrated through Jack's Basket, she wrote me asking if I would consider coming to speak at the March for Life conference in Washington D.C. on Wednesday, January 21st. After a few conversations with Chris and others, I accepted this honor to speak about my family, giving my perspective on raising a child that has a diagnosis that is given to many families and when given prenatally can mean the end of life for 90% of babies. I will try to blog as soon as I can after this opportunity and let you know how it goes. The month of December went by extremely fast, which included so many activities, with the highlight of celebrating Jesus' birthday! The boys loved opening gifts and the excitement of the season and we were able to see both of our families. This upcoming week I will be speaking at a Nurse Practitioner conference and also to the Woodwinds Hospital Labor and Delivery nursing staff. Down Syndrome Diagnosis Network (DSDN) has been a great resource for new and expectant parents and I am grateful to partner with them in giving a family's perspective and training to medical professionals. We will be giving examples of birth stories along with what research says about how to deliver a diagnosis. I recently shared with my husband that there are two things I LOVE...delivering baskets and speaking with medical providers! They both give me so much joy and I'm so grateful for the positive changes that are happening! Since the end of October 2014, we have celebrated and delivered 24 baskets to new babies and families! As I finish up this blog post I think about that statement. Each life is a gift. As January 7th came, we again mourned the loss of our third baby from miscarriage as this date was my due date. The tears streamed down my face knowing that this precious life was a gift. Not understanding the loss, but continued trust in God that He has a plan, I celebrate that precious life. 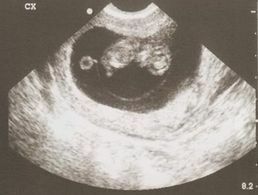 After the ultrasound that discovered this baby did not have a heartbeat anymore the nurse practitioner said, "Well it's probably because the baby had a chromosomal abnormality." I felt as if that I should be relieved that this life ended in miscarriage. That statement brought me no comfort. "Um, have you checked my chart? I have a child with a chromosomal abnormality and I can't tell you how much I love him exactly how he was uniquely created. And I don't have enough time to share with you the impact my child has had on my life and others for that matter." So as I read the above quote I ask myself, what do we measure a life by? What is success? What are we striving for? The trophies, the accolades, the shiny stuff? All that stuff fades away...and you're left with the impact your life has made on others...what a gift.